When you register a new domain, the first thing you do is to create a “coming soon” page. It is a professional way to create a website and it allows you to build up social media fans/followers and Email subscribers in advance. By doing so, you warm up your potential visitors for your new website. They become curious to know more about your website when it is finally launched. Generating such a curiosity among web visitors can give you a remarkable start in your online business. You will be able to attract more and more visitors by creating attractive and appealing pages and generate leads one after another. Some of the Essential WordPress plugins for your Blog. Why you shoud customize your WordPress website? Best Commenting Plugins for a WordPress Website. When you are setting up your website, you don’t want people to visit your half-completed site and get a bad experience. Ultimate coming soon page plugin helps you solve this problem easily. By using this plugin, you can create a coming soon page on your website and collect emails from your visitors. This plugin works well with almost all themes. It is available in free & premium, both versions. The free version allows you to collect emails of your visitors, add them into your database and have them in the RSS feed. The premium version allows you to add emails directly to your email list using popular Email services such as Aweber & MailChimp. Easy coming soon is an excellent WordPress plugin for web developers as it allows them to showcase the website with an under construction page/coming soon page easily while working on the remaining assignments of the site to give it a final touch. This plugin works very well the theme you use on your website. It allows you to see the live preview of the coming soon page of your website and add Google analytics tracking to it. It also provides social connectivity features, allowing you to build up a solid fan/follower base on different social media websites. The free version of the plugin has limited features and functionalities. If you want to explore more features, go for its premium version. EZP coming soon page is a simple, but an advantageous plugin for all WordPress users. It allows you to create a responsive and professional coming soon page on your website. It is highly customizable, allowing you to change the overall look of your site to make it more eye-catching and appealing. This fully responsive plugin has an optional countdown timer. You can set it on your website to let your visitors know when your site will be launched finally. It supports various social media platforms. So, you can enrich your subscriber list significantly before launching your website and can use them to meet your specific business goals (such as leads, sales, etc.). If you are desperately searching for a professional Plugin to create a coming soon page on your WordPress website, then WP Maintenance Mode appears to be a pioneer option for you. Using this plugin, you can easily set a countdown timer along with your site’s “coming soon page” and inform your visitors about the exact time when your website will be launched. Once you activate this plugin, only registered users can access the front-end page of your website. It is a highly customizable plugin. So, you can easily customize the colors, texts, and backgrounds to create an astonishing landing page and give your website more professional look. It also allows you to collect emails (of website visitors) via subscription forms and the contact form. Furthermore, you can engage people using various social media channels. Website design and development takes a considerable amount of time. So, developers often find it difficult to keep users interested in their website when it is to be launched or in maintenance mode. However, Minimal coming soon & maintenance mode can help web developers to perform this assignment comfortably without any hassle. It is a feature-rich plugin that allows you to create coming soon/landing page on your website. This flexible plugin works very well with approximately all WordPress themes. So, it doesn’t clash with the theme you use on your website. This plugin comes with MailChimp email integration, which allows you to collect emails easily and grow your subscriber base significantly in a short duration of time. Using this plugin, you can control the front page of your site fully and make changes as per your needs. Site offline or coming soon Plugin acts as a helping hand when you have to switch your website and keep it in offline or online mode. When you enable the offline mode using this plugin, visitors can see the coming soon page or maintenance page only. It is just like a boon for you when you have to perform site experimentation with visitors to gain more page views and multiply your online business. This outstanding plugin offers you several features to create a coming soon page on your website and displays the custom message easily. Apart from this, you can show a “site offline” message when your website is offline for maintenance/renovation. It allows you to perform all maintenance works both on the back-end & the front-end of your website. If you want to create a responsive and graceful coming soon page for your website, then you must choose launchpad plugin. It is equipped with a drag and drops layout manager that allows you to customize the coming soon page elements within a few clicks. Furthermore, you can affix a date and time on the coming soon page to let your visitors know when your website will be live. It works smoothly with all leading WordPress themes. So, you don’t face any problem while using this plugin. Using social links and subscriber sign up forms, you can stay in touch with your fan/followers and help them get the exact information easily about the commencement of your website. If your newly created website is not ready for public consumption, but still you want to start promoting your business brand and building fan/followers, audience/subscribers, then you can use Coming Soon CC plugin without any hesitation. Using this plugin, you can create professional and attractive coming soon page for your new website/blog, product/projects, etc. and can generate interest among potential customers before its final launch. It has several features such as responsive HTML5/CSS3 layout, various customization options, Google Analytics integration and social media support. All these exclusive features help you create awesome, coming soon page for your website within a few minutes. IgniteUp is a beneficial plugin for all those WordPress users who want to manage their website downtime before its final launch or for maintenance. You can use this plugin to create attractive maintenance mode/under construction/coming soon page within a few clicks and keep your audience informed about the actual status of your website. This plugin comes with a number of customization options (such as three built-in themes, more than 7 templates, etc. ), letting you beautify your site’s maintenance mode/under construction/coming soon pages easily. It supports MailChimp and Mailpoet email subscription form, which helps you to accumulate emails easily and enlarge your subscriber base quickly. This plugin is powered by Twitter bootstrap, which means it is responsive to various mobile devices. When you operate websites, sometimes you need to make some changes in the website or its pages to give it a brand new look to woo more and more visitors. For this, you need a page which can inform visitors that your website or certain web pages are currently not available or in maintenance mode. With the help of WP construction mode, you can easily create the replica of your web page to inform the actual status of your site (coming soon/in maintenance) to visitors. It also allows you to hide the entire website and show the website creation/maintenance/revamping progress in percentage using an animated toolbar. Besides this, you can add an analytics code in the plugin to keep an eye on your website traffic. The plugin is available in free and premium versions. You can go for its premium version if you need more customization options and other useful features to make your site stand out from others. Coming soon page on your website helps you to grab the attention of your audience and inform them about the website redesign/renovation/launching/maintenance using email notifications, social media notifications, etc. It helps you to create a great hype about your website and make it popular. Based on your needs and preferences, you can use “coming soon” plugins for WordPress listed above. Lucy Barret is a Web Developer and a technical blogger. She is an expert of converting PSD to Wordpress and has a team of expert developers to handle each and every project. You can follow her on Twitter. I like the IgniteUp – Coming Soon and Maintenance Mode plugin. Thanks again for telling about it. Minimal Coming Soon & Maintenance Mode is a relatively simple plugin, with slightly fewer options than many of its counterparts. Easy Coming Soon is another plugin with a just a handful of design options. Eventually, thanks for exploring these services with us. WordPress is the most popular blogging platform. And plugins can extend WordPress to do almost anything we can imagine. There are a lot of free WordPress plugins. 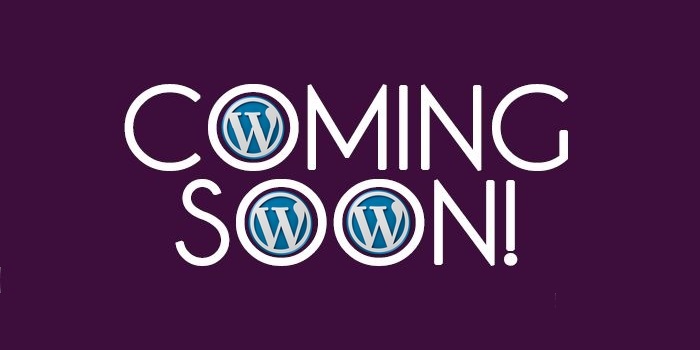 I am using the ultimate coming soon plugin in my blog, Thanks for sharing other plugins too. i usually used Plugins major for SEO, but the above list of plugins are very new to me. I would really love to use these plugins in future for my blog….keeping sharing such information for beginners blogger like me. This is what makes WordPress so popular because it can help you solve certain problem specially when you are trying to fixed a website or a blog that are having too much traffic already, these list of plugins will help you out. Good to see you here and thanks for sharing this useful list. A couple of times I have had need for this “Coming Soon” plugin and I think there is something here just for me. A very informative post I was not aware of all these free WordPress plugins. Some plugin I have tried it and somewhere new to me. Eventually thanks for sharing this excellent and useful information. I think because of this features the only WordPress are still popular in this blogging market. I have had a few times when the need to make use of coming soon page WP plugin is required. The ultimate coming soon page and WP maintenance mode are my favorites two. I have used them and think they’re simple to use and good for all level of blogger. No matter your technical blogging experience, these two are good to try. Thanks for sharing with us, Lucy.